A leading housebuilder has thrown a lifeline to people desperate to move up the housing ladder, with its bespoke part exchange schemes. 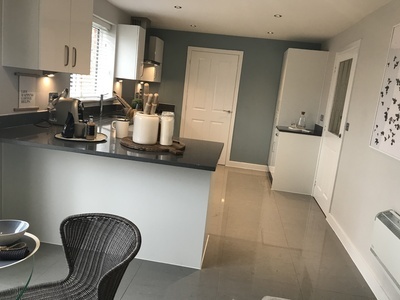 The assistance schemes, offered by Persimmon Homes Anglia at its Nelson’s Park development in North Walsham, help buyers to save time and money when purchasing their dream home, according to sales director Michelle Baker. Persimmon has two schemes available – Home Change and Part Exchange – enabling buyers to reserve their selected new home at Willow Park while the company helps to deal with the old one. “With Home Change, we arrange valuations on the existing property and agree a competitive price. We use all our expertise, contacts and experience to appoint an estate agent who will look after the sale. For those customers that qualify, the Part Exchange scheme is even simpler, as Michelle explains. “We will arrange at least two valuations and agree a guaranteed market price for the property. With Part Exchange there are no hidden marketing costs and no chains to break down, leaving you free to stay in your old home until the new one is ready to move into. Nelson’s Park, on Norwich Road, offers a range of two, three, four and five bedroom homes priced from £182,995. The development is ideally located for all the facilities of the popular market town, including outstanding local schools and superb transport links into Norwich. Persimmon Homes Anglia operates new homes developments across Norfolk and Suffolk. To find out more, visit persimmonhomes.com.